An unexpected twist from a four-seam or a two-seam fastball can make the difference in a baseball team winning or losing the World Series. 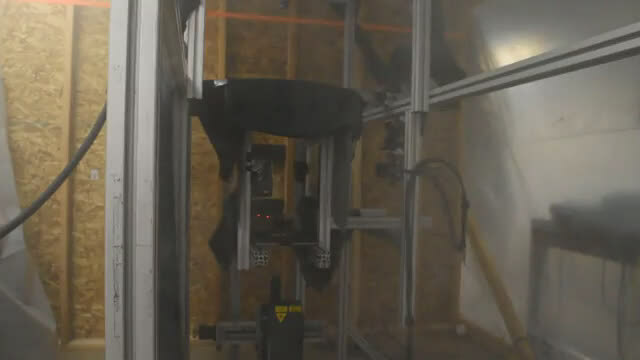 However, "some explanations regarding the different pitches are flat-out wrong," said Barton Smith, a professor of mechanical and aerospace engineering at Utah State University who considers himself a big fan of the game. He and his doctoral student, Nazmus Sakib, are conducting experiments to explain how baseballs move. Sakib and Smith will present their findings at the American Physical Society's Division of Fluid Dynamics 71st Annual Meeting, which will take place Nov. 18-20 at the Georgia World Congress Center in Atlanta, Georgia. A baseball is asymmetric owing to the figure-eight stitching pattern, and the way a baseball moves through the air depends on the degree and direction of its spin and its orientation when the hand releases it. The Magnus effect, or the force on a spinning object moving through a fluid like air, pushes in the direction that the front of the ball is spinning. So it causes a ball with topspin to drop and a ball with backspin to gain some lift—enough to slow its fall, but not enough to overcome gravity. 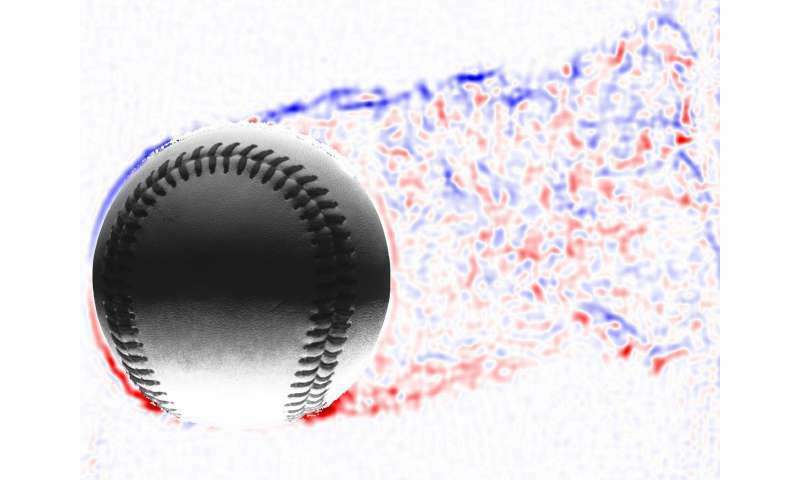 Then, they computed the "boundary layer separation" by identifying the portions of the ball's surface where the layer of air surrounding the ball had separated to form the wake. While the boundary layer separation varies differently for the two fastball pitches as the ball rotates, the net effect is the same. Smith is now "hoping to meet a major league pitcher who wants to use what we've learned through fluid dynamics to throw a better pitch."